As a counseling center, we strive to offer as many counseling services as possible. With guidance from our highly skilled mental health professionals, our patients are able to have their needs met with specific services that take a customized approach. With a location in Oklahoma city, our counseling services can make a positive impact on your life by figuring out specific areas you want to concentrate on. One of those services is conflict resolution. Conflict resolution is a technique that helps to facilitate an ending of peace due to a conflict or a punishment. Instead of lashing out at the person you’re having an issue with, you can sit down to resolve the problems between you in a peaceful and open environment. Conflict resolution focuses on creating a free path of communication between two people who need to engage in a negotiation before they can move forward. 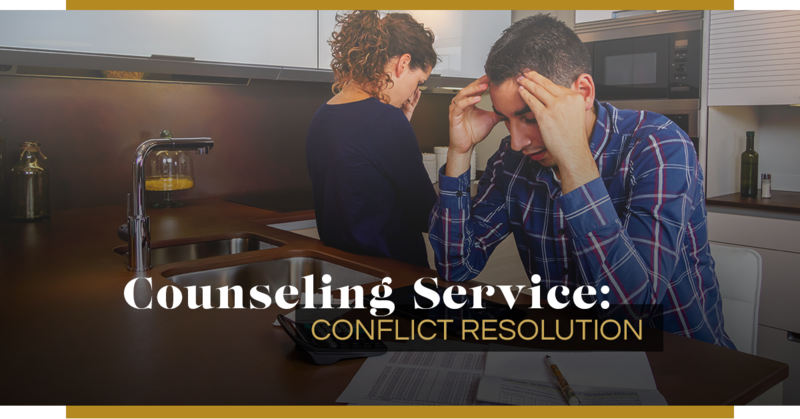 Generally, conflict resolution is a counseling service that focuses on group conflicts by addressing what motivates their conflict. By focusing on what is causing trouble between two people, we’re able to focus on different methods that are centered around how to resolve an existing conflict in an effective manner. Additionally, there are many different techniques to address an existing conflict. For instance, a session can include negotiation, mediation-arbitration, diplomacy, creative peace building, and meditation. There are a few factors centered around conflict resolution. There is the dual concern model that takes into account the person’s preferred technique of dealing with a conflict and addressing it with assertiveness and empathy. Assertiveness and empathy are the two underlying themes when it comes to every technique of conflict resolution because by being assertive, a person is able to detail what they want. By implementing empathy into conflict resolution, a person is able to feel concern for the other party. These two factors allow a person to see the conflict from both sides while still ensuring they are not backing down or giving up on an issue they care about. For example, if you and your partner are arguing over money issues, then you’ll want to make sure you bring both assertiveness and empathy to the table so each person can see both sides of the argument and come to an understanding. Conflict resolution can do a few things to help you in your daily life. For example, women tend to not be as assertive as they should be and by knowing conflict resolution basics they are able to articulate what they need from a situation without getting heated. Basic conflict resolution can help to handle your emotions, create a peaceful environment, address issues that are previously ignored, and create an opportunity to grow the relationship by building trust and a knowledge of security between two people. Conflict resolution is meant to help you face situations that you would generally shy away from with a level head. Affinity Counseling has counseling services that can help you address issues that are causing an obstacle in your relationships or are hindering you from living your life. Conflict resolution is a great way to handle situations without letting your emotions get in the way. If you’re interested in learning conflict resolution, then contact us for an appointment.